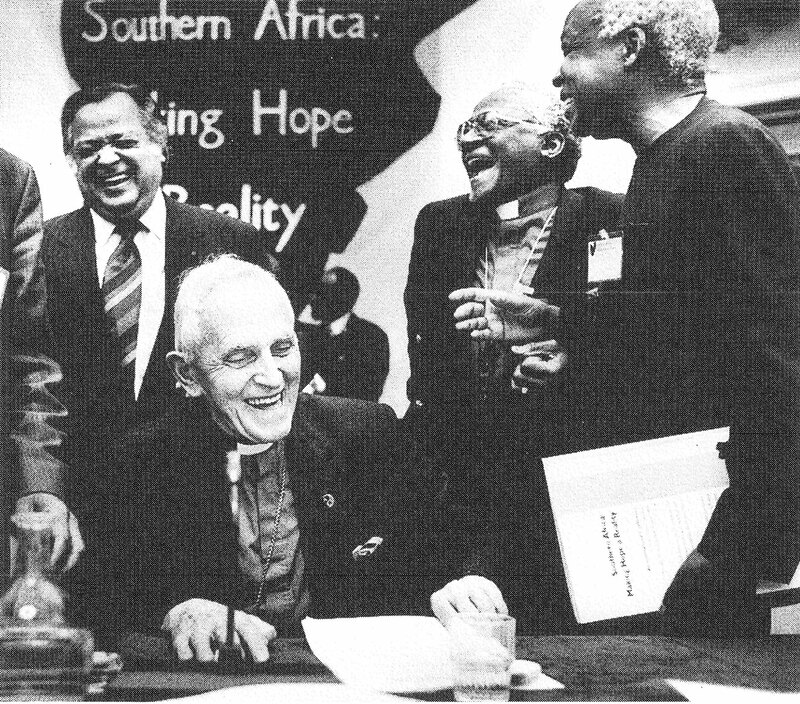 Bishop Trevor Huddleston with old friends Mwalimu Julius Nyerere, Archbishop Desmond Tutu and Shridath Ramphal. Britain-Tanzania Society President Bishop Trevor Huddleston recently celebrated his eightieth birthday. He is seen here at a Birthday Tribute on June 14th 1993 with old friends Mwalimu Julius Nyerere, Archbishop Desmond Tutu and former Commonwealth Secretary General Shridath Ramphal. 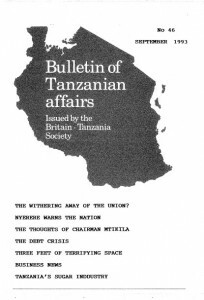 A birthday present of some £4,400 from members of the Britain-Tanzania society was donated to the School for the Blind in Masasi.